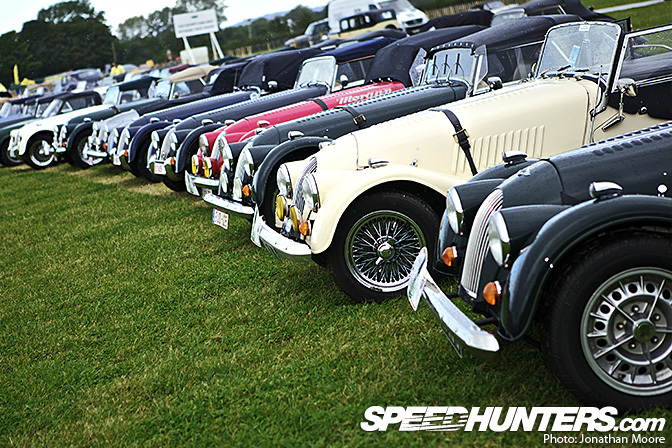 The car clubs turn out in force: sometimes en masse in one location, like these Morgans, but mostly intermingled with whomever they parked next to – making it even more of a delight as you stumble across the next tail of the unexpected. Despite the date-range cut-off, there's a blurring allowed in the outer boundaries– or at least tolerated. Newer classics-in-waiting happily co-exist with the old. What's nice is the fact you know they've been driven here. 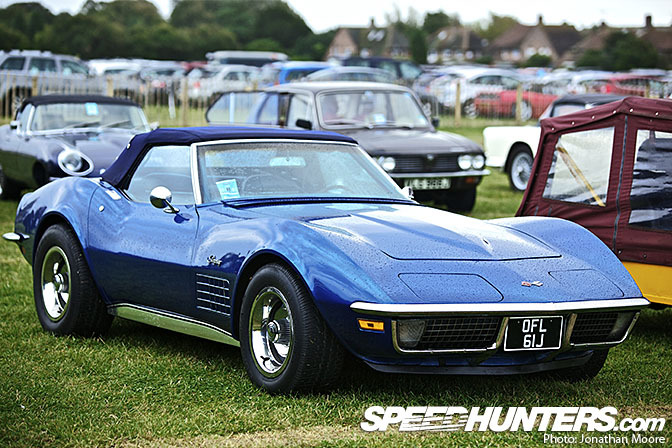 This may sound stupid, but we are talking about cars which are often over 50 years old. You never get the idea that you're looking at museum pieces, even if they are kept tucked up in a nice climate-controlled garage for the rest of the year (and actually, I hope some of the rarer ones are!). Sitting in the hour-long queue to get into the circuit on Saturday morning the rain had been falling, and interspersed with the modern saloons with their air-conditioning and heaters you could glimpse a misted-up Healey with its owner using a cloth to get a view through the windscreen, or an MG with the passenger gamely holding a golfing umbrella over the open cockpit. 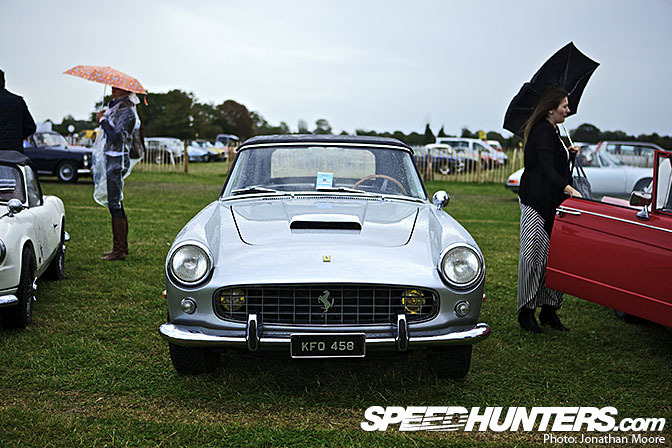 And then drivers would just leave their vehicles for the enjoyment of others, like with this Ferrari 250 GT Cabriolet, expanding the Revival spirit all the way to the entrances. 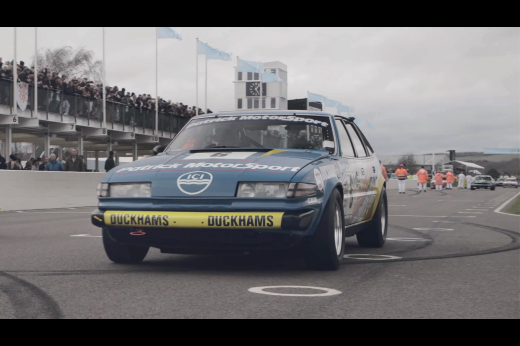 But that's the thing about Goodwood, it's like a moving, open-air celebration of the automobile. Everything you'd expect, along with a lot of the things you wouldn't. The last chisel-nosed Urraco 3000 I saw was in the Lamborghini museum. Here you stroll around it at your leisure, don't have to pre-book your visit and even better in this bit of the Revivial you don't even have to pay for the privilege! 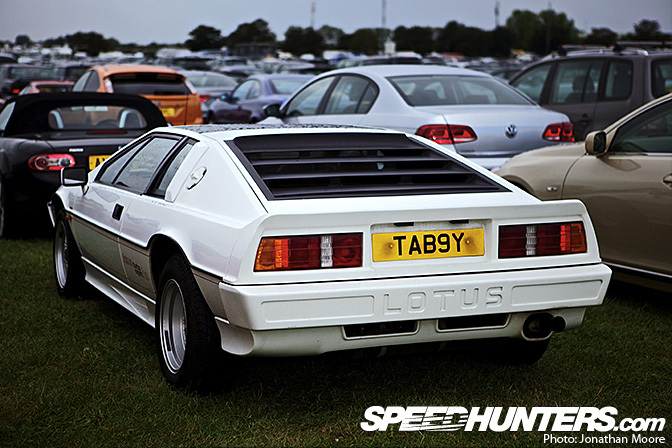 Cars were pristine, almost without exception. 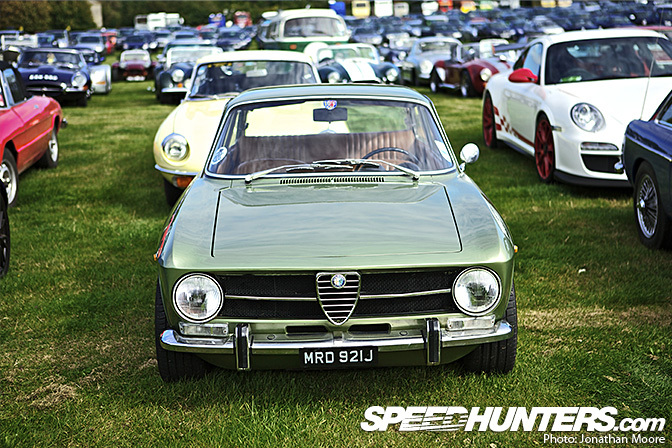 Despite Alfa's reputation suffering in the '80s (along with, disastrously, Lancia's), their '60s and '70s cars seem to survive well, and there was a good range of GT, GT Junior and GTAs about – more than enough to keep this Alfa fan happy. Rosso Corsa red might dominate, but there were some lovely alternate shades on show, like the green of this GT1300 Junior. 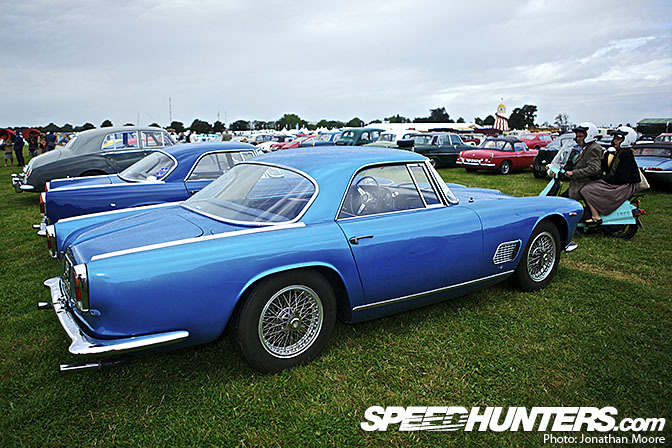 Long and sleek, this Maserati 3500GT in the People's Concours was every equal of the show cars on the Maserati Stand in the Earls Court Motor Show on site. But if you wanted really long, you had to go American of course. This Bel Air was parked up next to an old Volvo, really showing the difference in approach between the US and the other side of the Atlantic. 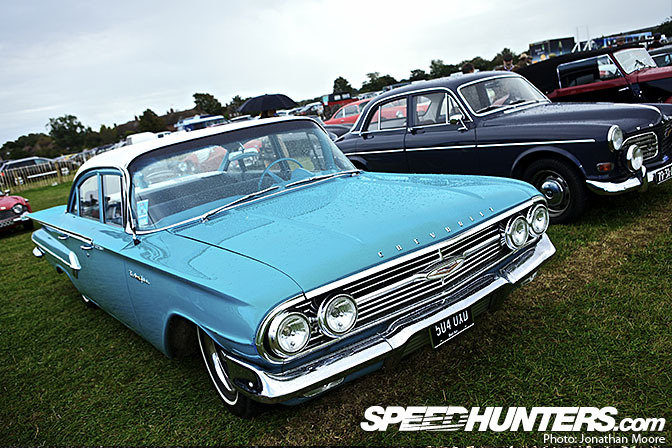 In general there were three classes of US cars at Goodwood: compact sportscars (Stingrays and Mustangs), huge Falcons (also seen on track), and then enormous supertankers like of cars like the Bel Air and Galaxie. Here I can also show some of the cars that the badges in previous stories were attached to. 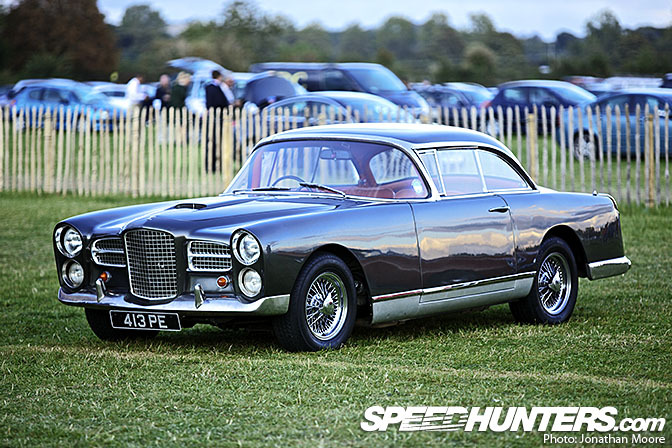 Facel were a French company who enjoyed a short but glorious ten years in the '50s making cars after finding success building bodywork for other firms. Killed off by using an untried domestic engine in their later models, during their time they still managed to attract star drivers to their brand: Stirling Moss drove an HK500, like this one, to and from races! 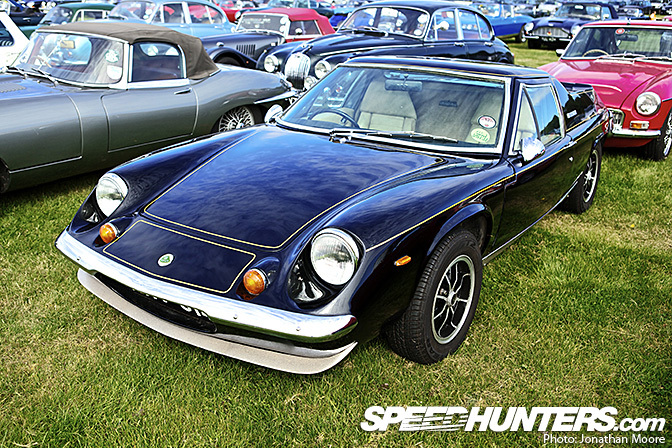 The Lotus Europa is still a unique-looking car, with its almost van-style raised rear. 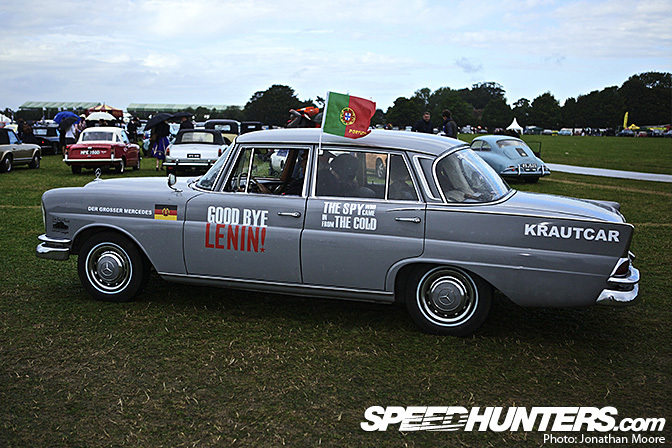 It's not as feted as, for instance, the Elan, but the Europa's road-holding was legendary. This is one of the limited edition John Player Special editions from 1973, celebrating Team Lotus' back-to-back Formula One titles in '72 and '73. 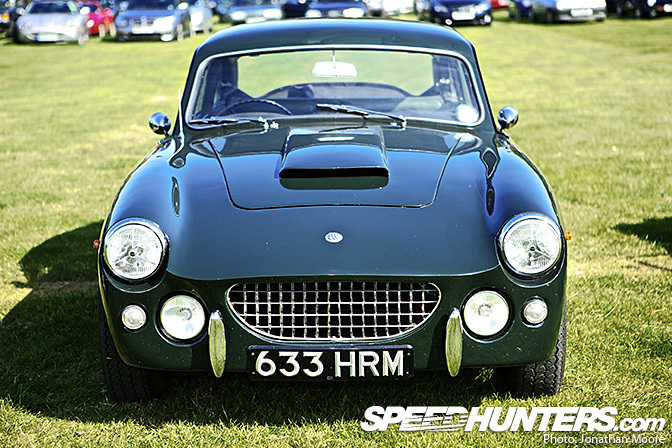 At 740kg, it epitomised Lotus founder Colin Chapman's motto of "Simplify. Then add lightness". 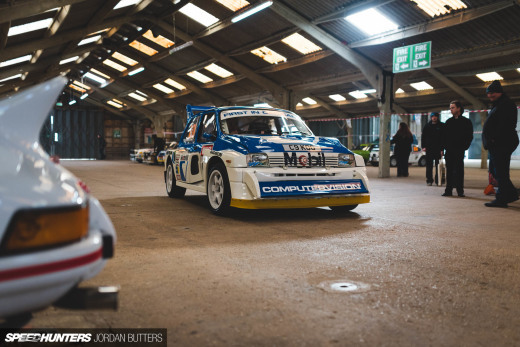 …but for me, this was the car I wanted all through my childhood – and still dream of now. 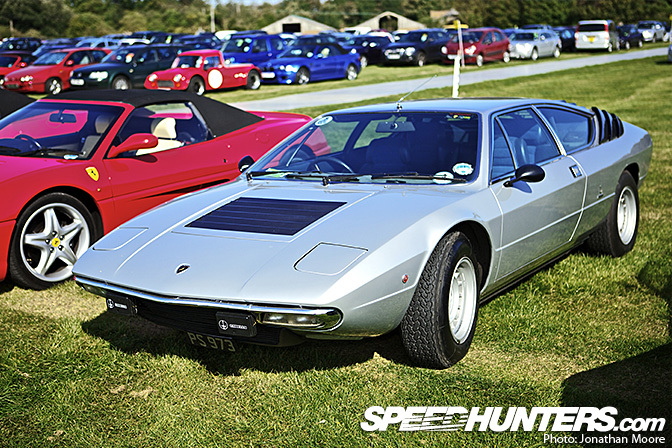 Countach? Whatever. 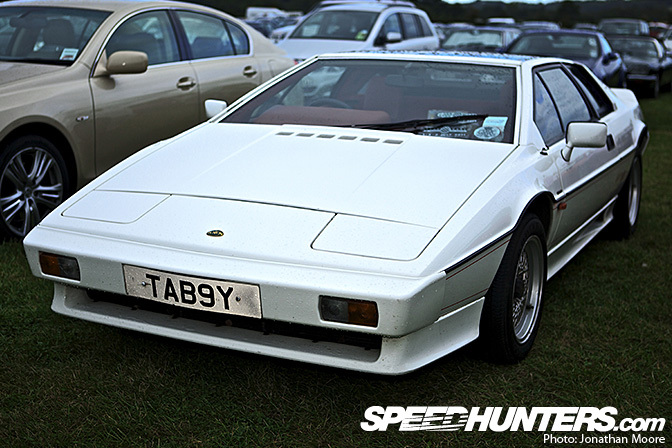 When did you see a Countach *go underwater* like in James Bond? 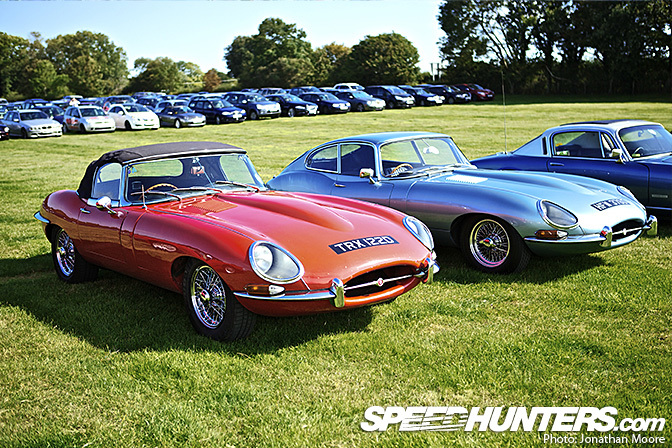 With so many E-Types on display there was plenty of opportunity to compare models and styles – particularly between drop-tops and coupés. I'm not generally a fan of cabrios, but the E-Type's flowing curves are undoubtedly gorgeous. Having one of each might be the answer. 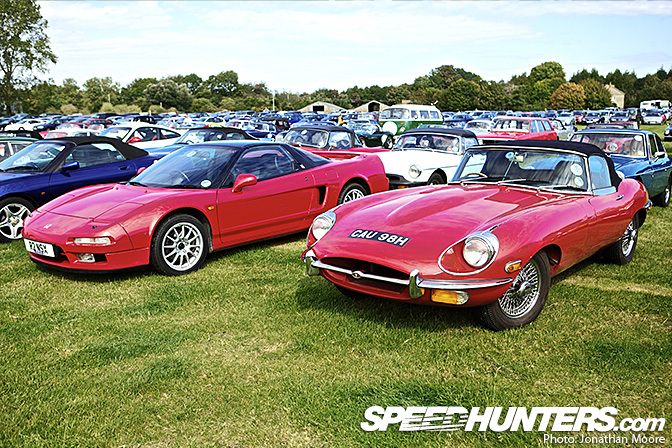 Of course, E-Types weren't the only Jags on display. 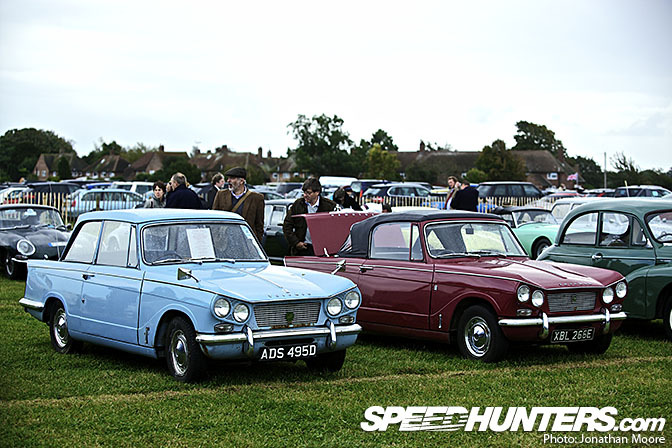 1960s Mark IIs are still very popular both on and off the track. 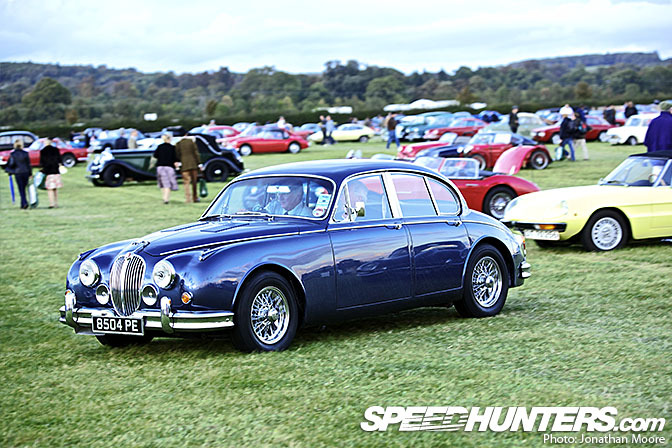 Even earlier models,such as the C-Type, could be found, though with a replica-manufacturers tent just inside the gates it's difficult to know which are the real things without close inspection. 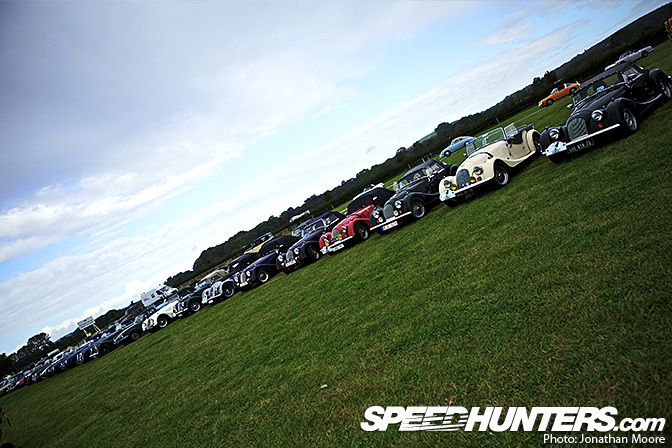 AC are famous for the Cobra, but have history going back to the turn of the 20th century. 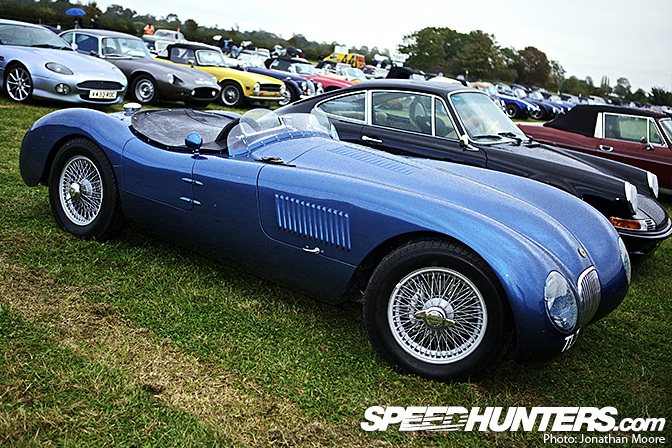 The 1962 Greyhound was the saloon accompaniment to the Cobra's progenitor, the two-seater Ace. 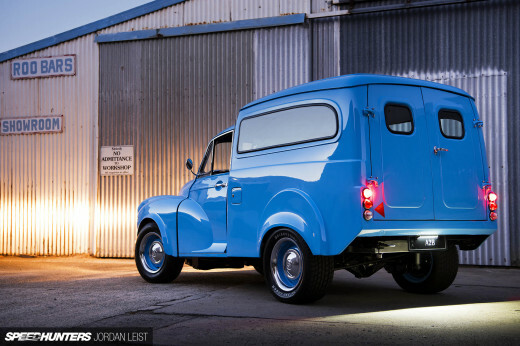 The Greyhound all-alloy, four-seater body originally housed a Bristol engine – this particular example has the later Ford 2.6-litre engine with triple SUs. I like the sharp edges to its design and almost Aston Martin-esque styling cues. 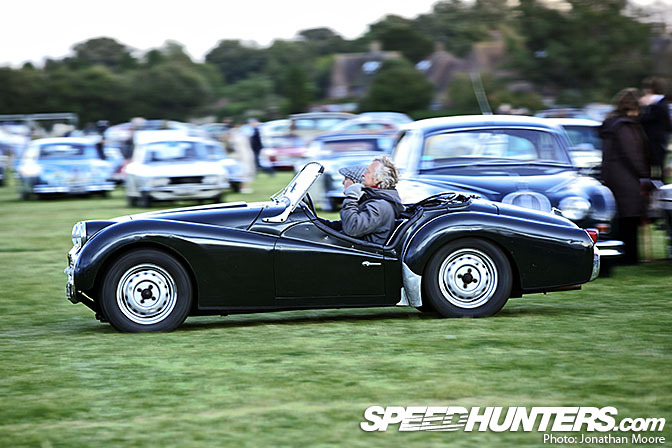 The Morgan Motor Company has been producing cars since 1910, and the +4 since 1950 – virtually unchanged except for engine configuration. 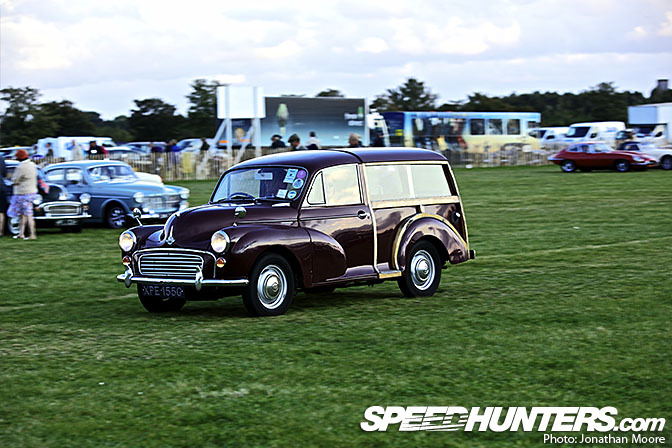 Goodwood is unapologetically British at its core, so it's a good excuse to dust down the cars from a period when there were truly great and exciting domestic vehicles being produced. 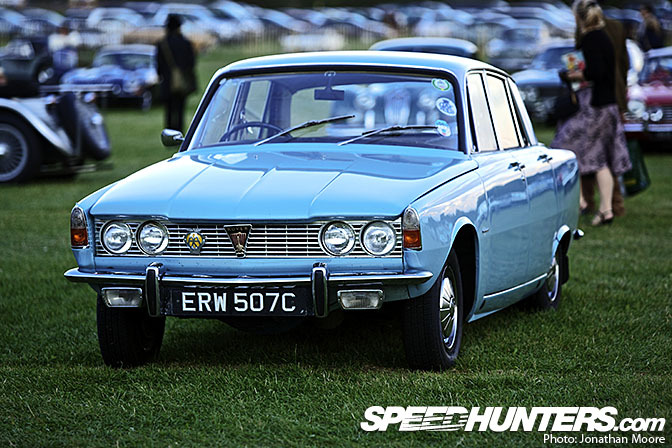 The Rover P6 was one of those cars, particularly in its 3500 V8 guise, as was the SD1 that followed it. A Maserati Quattroporte (4-door) with only two doors? Looks like a 3500GT to me. THERE IS NOTHING MORE BEAUTIFUL THAN AN ALFA ROMEO. FOR ME THE BEST BRAND IN THE ALL CAR HISTORY!!!! I don't think the pictures are overdone at all; I think the complaint is absurd. This is an excellent gallery of shots. good thread, nice to see some brit iron, more mgs and triumphs and like if you please.........btw the falcon is actually smaller than a mustang. not really huge.